Some people say they’ve been betrayed by government after they weren’t able to see Mandela’s body. Tempers flared as people try to push to the front of the queue at the LC park and ride to go see the body of Nelson Mandela at the Union Buildings on 13 December 2013. Picture: Sebabatso Mosamo/EWN. PRETORIA - Thousands of mourners have been left angry and disappointed after being turned away from the Union Buildings. They were in the area to pay their respects to former president Nelson Mandela as he lies in state in Pretoria. Earlier on Friday, tactical response teams were deployed to various park and ride facilities in the capital following scuffles between officials, police and mourners. Government announced at noon that capacity had been reached at the Union Buildings where almost 100,000 people queued to see Madiba. Park and ride facility at LC de Villiers sports ground in Hatfield, Pretoria. Picture: Jacoline Prinsloo. People who've been queuing at the Fountains Valley park and ride facility say government betrayed them through poor planning. One man said he had to take time off from work in order to view Mandela's body and is deeply disappointed he won't get the chance. "It's very disturbing because the government doesn't stand by their word." Another man says, "This is my second day actually and I'm quite disappointed I won't be part of the people who made it to see Madiba." According to government, the entire system is oversubscribed. Thousands who braved the heat and long queues have already left the facility and the only proof that they were there is the rubbish that's strewn across the field. There were similar scenes of disappointment and tension at the LC de Villiers park and ride facility. A man who found himself in the middle of a scuffle there says he always dreamt of seeing Madiba, dead or alive. He says he's heartbroken he missed his only opportunity. Chaos erupted at the facility between members of the tactical response team and the restless crowd. When government announced the venue had reached capacity, officials attempted to fill four more buses that were parked there. People then started fighting their way to the front of the line. Mandela's body will be moved from the Union Building's at 5.30pm for the last time before being flown to the Eastern Cape tomorrow. On Sunday, he will be buried during the official state funeral in his hometown of Qunu. 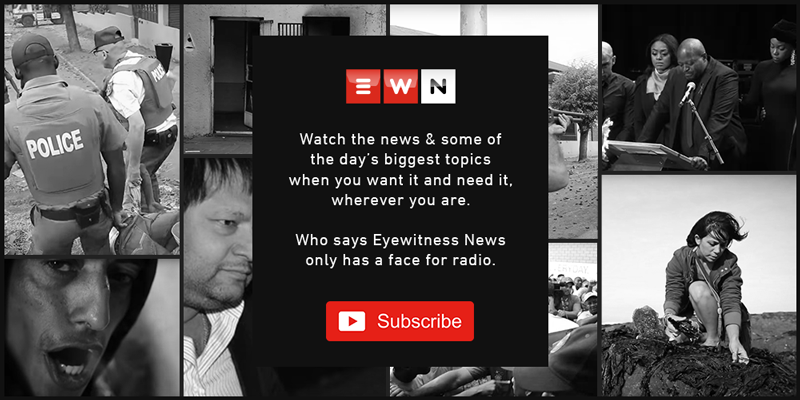 For an up-to-date and comprehensive guide to the various events taking place this week, including information on transport, see EWN's special guide, Saying goodbye to Madiba: Event planner. Some of the dignitaries expected to attend the funeral include Britain's Prince Charles and US celebrity Oprah Winfrey. The last two days have seen thousands of South Africans queue at key points across the city in the hope of being able to pay their last respects to Madiba. For many, seeing his body has brought closure, while others say their experience was overwhelming. The Mandela family, along with several dignitaries and government officials, including President Jacob Zuma, Cuban President Raul Castro, Deputy President Kgalema Motlanthe, former president Thabo Mbeki and Zimbabwean President Robert Mugabe have also paid their respects.